In this Clark Kinsey photo from the mid 1920’s. 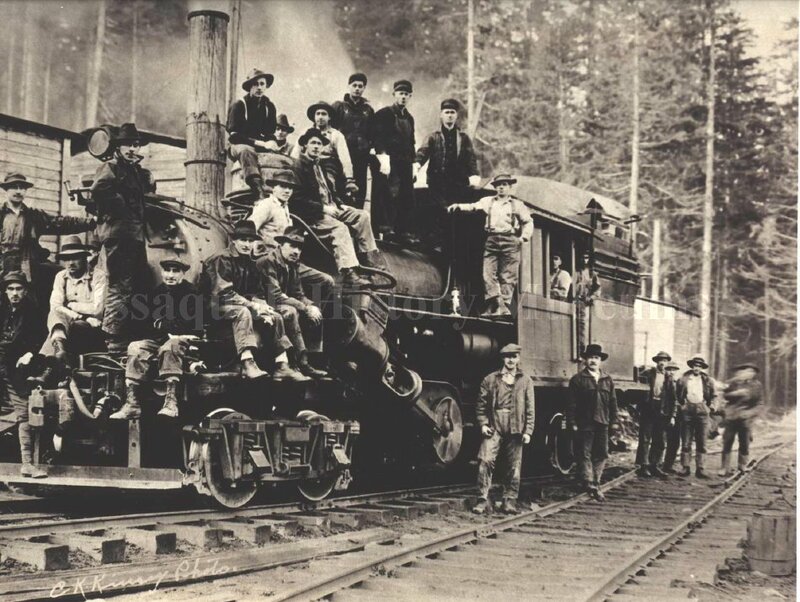 the High Point Mill Co.’s logging crew is shown taking a break while posing with their Climax Locomotive. 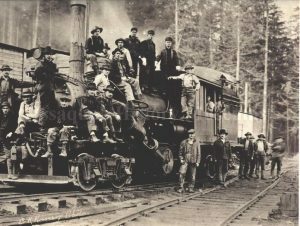 This photo is among those featured in the Mill Street logging scene mural on East Sunset Way at First Avenue Southeast in downtown Issaquah.